When people think about planning their financial future, they tend to focus on things like retirement, paying down debt or saving for their child’s education. Planning your estate is one of the things that often gets pushed to the backburner. There are lots of misconceptions about estate planning and if you don’t have a clear understanding of how it works, you leave yourself open to some potentially expensive errors. We’ve put together a list of some of the most common estate planning mistakes you should avoid at all costs. One of the biggest misconceptions about estate planning is that it’s something you only need to worry about when you’re older. In reality, it’s something you need to put on your agenda as soon as possible. Just because you’re young and healthy doesn’t mean you’re invulnerable to accidents or sudden illness but an estate plan can insulate you financially, at least. If you have a family or you’ve managed to accumulate a healthy amount of assets, forming an estate plan is even more important. Estate planning doesn’t just involve deciding who gets your assets after you die; it also gives you an opportunity to decide how your finances would be managed if you were to become temporarily or permanently incapacitated. Too often, people tackle one issue but totally overlook the other. 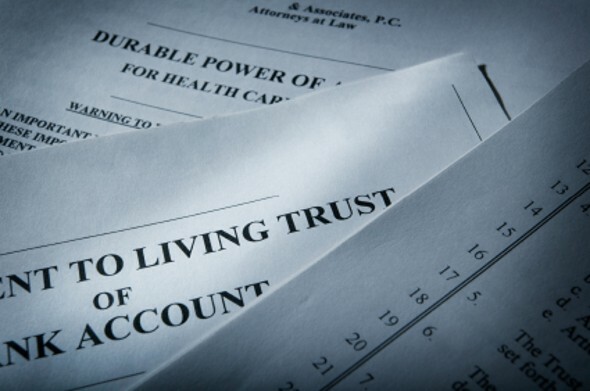 In addition to having basic estate planning documents like a will, you also need to consider incorporating things like a durable power of attorney, healthcare power of attorney and advance health directive. These items cover you if you’re not able to make financial decisions on your own and ensure that your wishes are upheld with regard to your medical care. A will allows you to detail how you want your assets and property to be distributed to your heirs after you die. A living trust lets you transfer part or all of your estate to the control of a trustee, who’s responsible for managing it on behalf of you and your beneficiaries. Both types of documents are meant to cover certain types of assets, including real estate, automobiles, bank accounts, jewelry, artwork, family heirlooms and personal possessions but there are some key differences between the two. Thinking you only need one or the other without understanding how they work won’t do you or your heirs any favors. If you do decide to use a living trust, know that the process for setting one up depends on the state you are in. The story in Wisconsin or Washington won’t be the same as in North Carolina or Arkansas. Estate planning is not something you can do once and forget about. As your finances and your life situation changes, your estate plan should also evolve to reflect your current needs. Getting married, having children and buying a home are all major life events that you need to make adjustments for. This is even more true if you end up divorcing your spouse. You should take time to review your plan periodically to be sure it still fits your circumstances and make any necessary changes (like who is listed as a beneficiary). Possibly the very worst thing you can do when it comes to estate planning is to simply do nothing at all. Even if you don’t own a substantial amount of property or have a fat bank account, you still need to have at least a will. If you die without one, the state ultimately decides who gets your assets based on the laws of inheritance. When no heirs can be found, everything you own automatically becomes the property of the state. If you do have children, a will allows you to name a guardian to take care of them until they come of age. This is especially important if their other parent isn’t in the picture because if you don’t specify a guardian, the state will decide who’s responsible for them. Estate planning can be a scary prospect because it means thinking about unpleasant issues like illness and death but the sooner you face your fears, the better. Knowing what you should and shouldn’t do ensures that your estate plan reflects your desires.